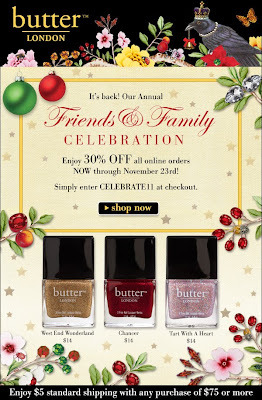 Butter London is having their Family & Friends Sale through November 23. All online orders can receive 30% off using code CELEBRATE11 at checkout. Oh man is this tempting! Thanks for letting us know.